Sound Horizon is, sound creator Revo is fantastic the appropriate orchestra members in order to musically express the story, rare style group of that organizing gathered on a case-by-case basis required number of people. Speaking their music in a word will be referred to as a "story music", poetry, song, narrative, narrative depiction that made full use to match the sound effects to the scene is the greatest feature. It is expressed vividly in the form of "Suite format" to configure likened to suite the CD1 sheets. Through the silence of this time three years, finally fully operational! 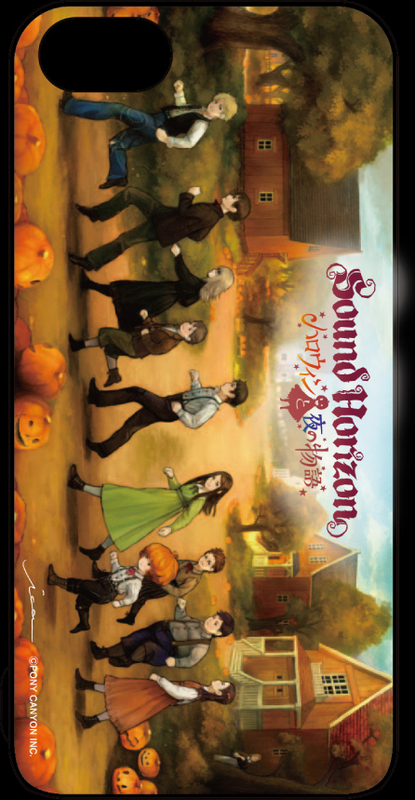 The long-awaited Sound Horizon of New Maxi Single "Halloween and the night of the story [First Press Limited Edition]" motif, I have designed the case.